If you're looking for a steady business with a tradition of great product and service that's a large national franchise and practically a staple in the community, then SellingRestaurants says look at this business right now! Located within a growing community and a popular strip mall in Placer County, this franchise has been established for 25+ years. The store frankly is in one of the best locations around, visible from the street and to anyone who pulls into this center. 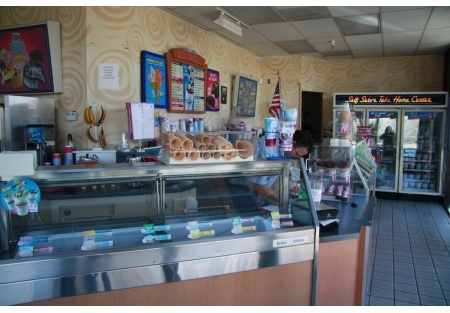 There is no hiding this franchise ice cream store! There are 775 sq/ft with total monthly rent of about $2,600(including CAM). This franchise offers an extensive training program so you can feel comfortable that you'll know how to run this business once you take it over! Take the next step to register and complete the online confidentiality agreement to get the restaurant name and address. Also you'll be given previews to our new listings in the future, giving you the greatest chance to "scoop in" the best opportunities as they become available. This is a Paramount Restaurant Brokers, Inc. DBA SellingRestaurants.com listing. Price is only 2.3 time adjusted net! Buyer Needs to buy more Franchise Years. 3+ years remain.